Carpe Heat Transfer Pvt. 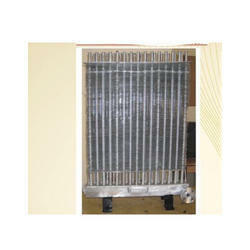 Ltd.
We are offering Fin Fan Air Cooler to our clients. In order to cater diverse requirements of the client, we offer varied range of Fin to Air Cooler that is acclaimed among the clients for optimum quality ad high strength. They are thermostatically balanced in nature and are delivered in varied technical specifications. Lord Vishvakarma Heat Exchangers (p) Ltd.
Design and Manufacturing of Shell Tubes type heat exchangers, fin tube cooler, reboilers and condensers as per international codes and under third party inspection.